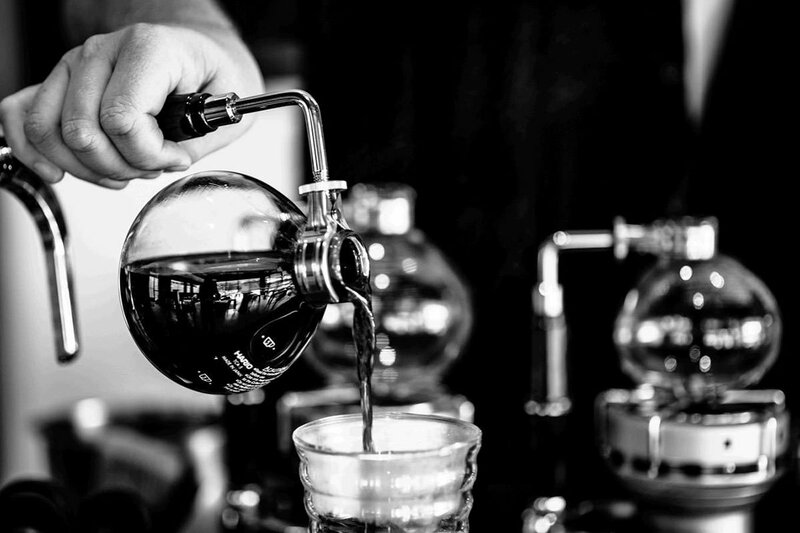 A pot of fresh brew poured from halogen-warmed glass globes. Photo courtesy of Siphon. 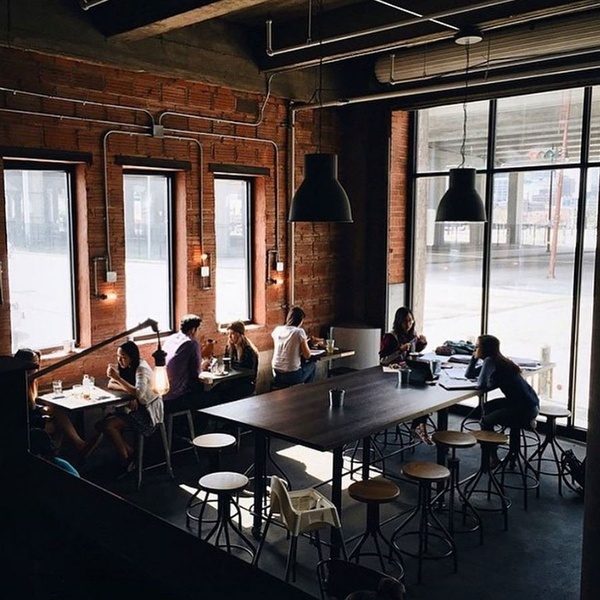 The coffee scene is stirring in Houston as industrial chic, source-obsessed cafes are popping up all over downtown. Here's where to score a high quality buzz, a serious sandwich, and sunny seat to plug in and zone out. HOUSTON, Texas – ­All is alluringly quiet at (300 Main St.; +1-281-846-6995). Not even a train rumbles down Main Street as I sit in a wicker chair, my Americano cooling on the marble table. On weekdays, this New Orleans-inspired joint is crammed with suited folks clamoring for oyster BLTs; in the evenings, classic libations like Sazeracs are a draw. On this Saturday morning — soggy and unseasonably cold for Houston — the scruffy dude who appears to be curing a hangover with scrambled eggs on buttered rye toast is my only companion. The last time I visited Houston, almost four years ago, its downtown, after a number of promising false starts, was sputtering back to life. Now, the neighborhood is home to a slew of attractive cocktail bars and a shiny new (806 Main St.; +1-713-237-1111) with its arty lobby and big personality. On weekends, biting into (2520 Montrose Blvd. ; +1-713-528-4976) souvlaki sandwiches from a shaded perch in is a beloved afternoon ritual among residents of the posh, in-demand condos that flood the area. The view behind the counter. Photo courtesy of Boomtown Coffee. While the recent arrival of Honeymoon — a collaboration between bar proprietors Brad Moore and Ryan Rouse and roaster-retailer (242 W. 19th St.; +1-713-862-7018) owners Matt Toomey and Charlotte Mitchell — undoubtedly cements downtown's vibrant renaissance, it also points to a larger, stimulating shift in the city's overall coffee culture. Suddenly, there are a number of ambient spaces in which to dawdle with laptops; sip downy, high-quality brews; and order creative foods that transcend chalky scones. Another morning, I take a roost at the curvy bar of light-flooded (1801 Binz St., Suite 130; +1-713-533-9560), savoring a cup of joe made from local roaster beans. It's located in , a mixed-use development between Hermann Park and the tony Museum District. 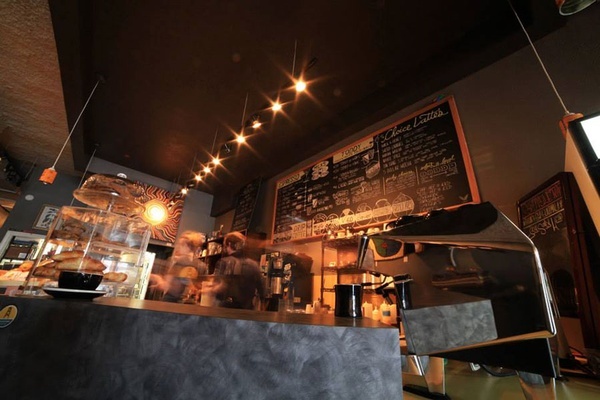 The absence of a proper espresso in this fringe neighborhood inspired owner Chris Balat to buy the mid-rise building and unveil his own stylish café and restaurant, (1801 Binz St., Suite 110; +1-713-520-0108). Come nighttime, lattes and buttermilk biscuits make way for wine bottles and boards laden with speck and goat cheese. Poured with precision. Photo courtesy of Blacksmith. Greenway Coffee Company's owner David Buehrer, in partnership with budding restaurant and bar empire Clumsy Butcher, is the man behind (1018 Westheimer Rd., +1-832-360-7470). 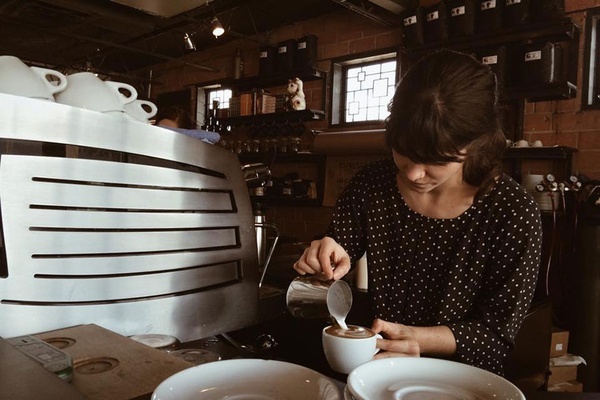 The coffee shop has fast become a favorite among the fashionable Montrose neighborhood as much for its hefty bacon-cheddar-egg croissants as for its cold-brewed Ethiopian Yirgacheffe. Ace barista John Letoto slides an immaculate macchiato and sparkling water chaser my way. Surrounded by cozy brick and local artwork, I feel as if I have been part of this convivial community forever. It's the wall of ceramic milk bottles — sadly not for sale — that first seduces me at (1706 Westheimer Rd., +1-713-529-3535), the upbeat bakery and café in jam-packed Montrose where the weekend hordes queue up for chef Roy Shvartzapel's caramelized onion bialys and chicken tortas. But on a sleepy weekday afternoon, the communal table is dotted with office escapees mellowing out over flat whites and éclairs. Montrose may be Houston's most caffeinated neighborhood, but (701 West Alabama St.; +1-281-974-4426), hidden in an unlikely strip mall, stands apart for the reverence of its namesake vintage brewing method. At Michael Caplan and Edward Treistman's polished but rustic space, I am mesmerized. Gurgling coffee and boiling water collide in halogen-warmed glass globes, making for an unusually theatrical java experience. It's pricey, and waiting for a pot requires patience, but this little-seen technique yields delicate, aromatic cups that make unrivaled companions to breakfast tacos. The gorgeous avo toast from Tout Suite. Photo courtesy of Tout Suite. The early coffee crowd at Tout Suite. Photo courtesy of Tout Suite. Funky art is rapidly infusing the vacant lots of East Downtown (EaDo), the warehouse district in the shadow of downtown and , with new life. Anne Le and Sandy Tran, the gals behind macaron and cupcake haven , have made their own mark on the once-seedy territory with their sophomore effort, (2001 Commerce St.; +1-713-227-8688). 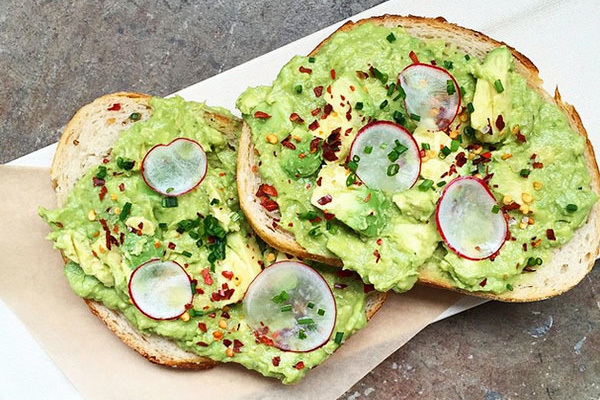 Early birds flock to the bi-level, industrial joint for avocado toast. After lunch, they unwind with cortados and petite key lime pies while their iPhones charge. A few years ago, the existence of such a boisterous hangout here, and one open until midnight, would have been unfathomable. But just like Bosta swooped in to rescue a coffee wasteland and Honeymoon helped revive Houston's downtown historic district, Tout Suite is redefining EaDo's. A thriving café is a potent symbol of a neighborhood's ascent, and, on my next visit, I won't be surprised when this one is dotted with bars and boutiques. Surely, it will feel a little more like Montrose. Subscribe to the Gentedimontagna Newsletter. Alia Akkam is a New York-based writer at the intersection of food, drink, travel and design. You can follow her on Instagram at . She travels for the sense of child-like curiosity it instills. Узнайте про нужный портал , он описывает в статьях про 1cs.com.ua.